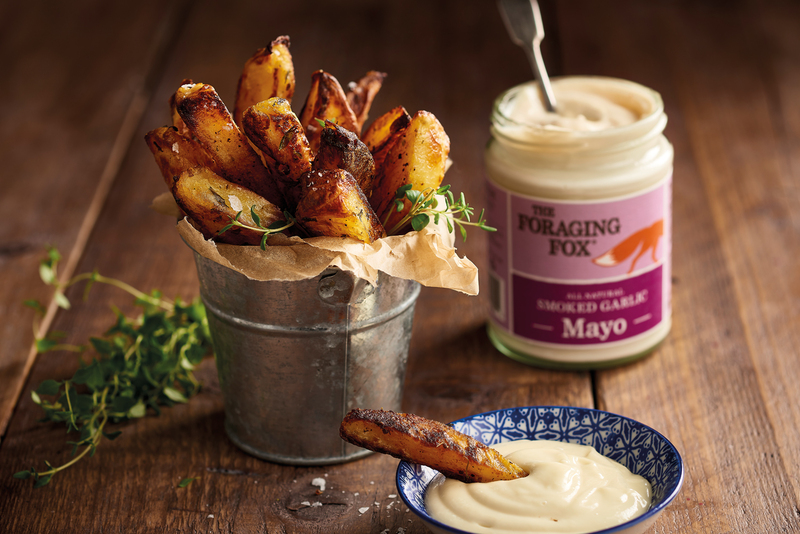 The range reflects what is at the heart of every Foraging Fox product – top quality ingredients (such as free range eggs, avocado oil and coconut oil) but added to that, the range is also suitable for vegetarians and is gluten free. 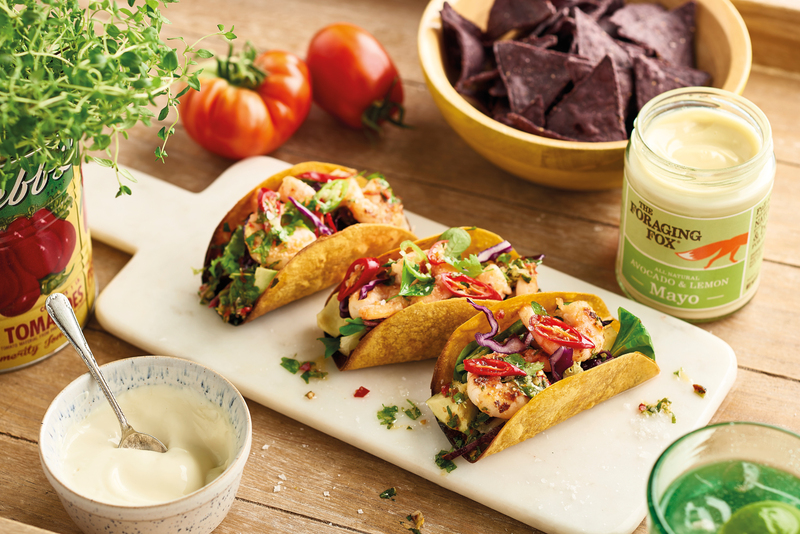 The products use half the ingredients of typical mayonnaise, and yet are packed with flavour. Read on to hear our thoughts! 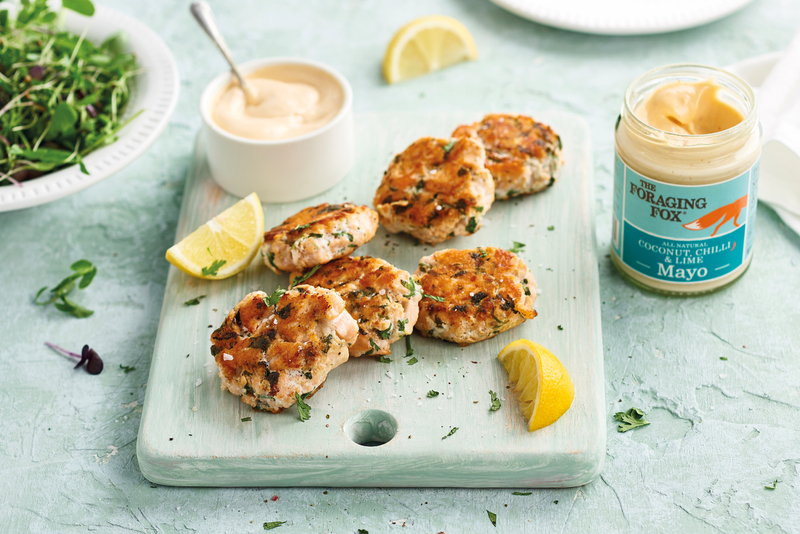 As the UK’s first coconut mayo, we were so excited to give this a try. We tried it with some marinated pork shoulder fajitas and it made the perfect accompaniment. It had just the right balance of sweetness from the coconut against the hit of chilli and then lime. There was just enough flavour to match the creamy smooth texture of the mayo itself. Overall, a very refreshing mayo. We thought it would go nicely with a chicken salad and crisp glass of white wine! This is a dip that would go with everything. We tried it with salmon, corn on the cob and potato wedges, and it really complimented everything on the plate. The rich flavour of the garlic gave some warmth and depth to the mayo. We could see this being used in a baguette as an alternative to typical mayonnaise. Truly delicious! We thought we would mix up our taste testing so we tried the Avocado & Lemon Mayo as a dipping sauce with some salted pitta chips. The plain flavoured chips let the flavour of the mayo take centre stage (of course, it would be rude not to). With avocado being quite a delicate flavoured fruit we thought the lemon may overpower however we were proved wrong. Both the avocado and zing of lemon worked in harmony, delivering a rich taste sensation. The verdict? A flavoursome, delicious range of mayos, that make a refreshing alternative to a typical mayonnaise. They made the perfect partner for almost every food and a great dipping sauce. We are big fans here at Grub Club Cambridge. If you’ve given them a try, then let us know your thoughts.